Coffee saves lives. It saves my life every morning when I’m at my desk checking emails or when I’m getting ready in the morning. 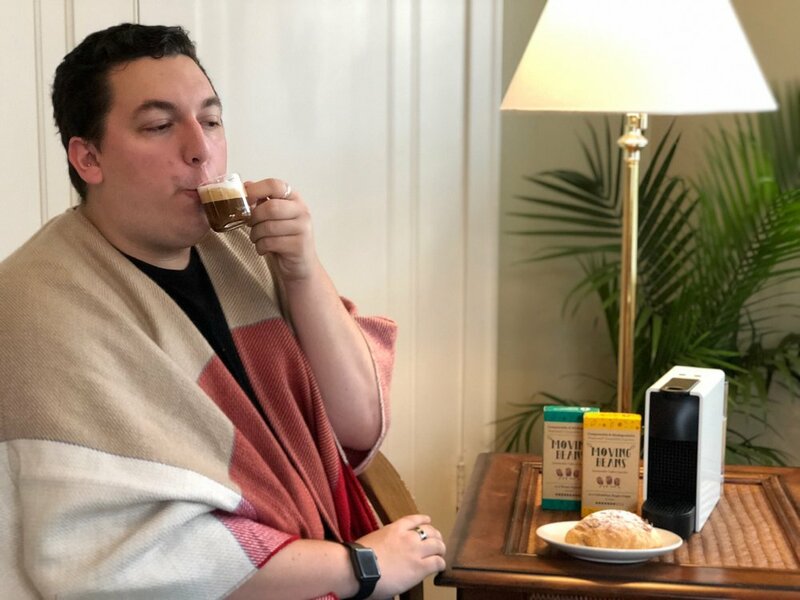 What if I could tell you that you can save your life every morning by getting a fresh shot of espresso or cup of coffee while also helping save the earth? Moving Beans is a great organization that is helping save the earth one cup of coffee at a time and with a variety of flavors! First of all, when people hear that a food or drink is good for the earth too, I feel that they automatically say “Oh it can’t be that good tasting then.” However, that isn’t the case with Moving Beans. They offer three bold, full and authentic flavors including Kenya, Colombia and a House Espresso blend. I tried all three one morning and really enjoyed the House Espresso blend the most. These beans are from South and Central America and East Africa. The roast is a very deep and dark roast that is a mild flavor and the perfect punch to your morning to get you going for the day. The best part is that they are sustainable! Each box comes with 10 fully compostable and biodegradable Nespresso-compatible capsules. That’s right. 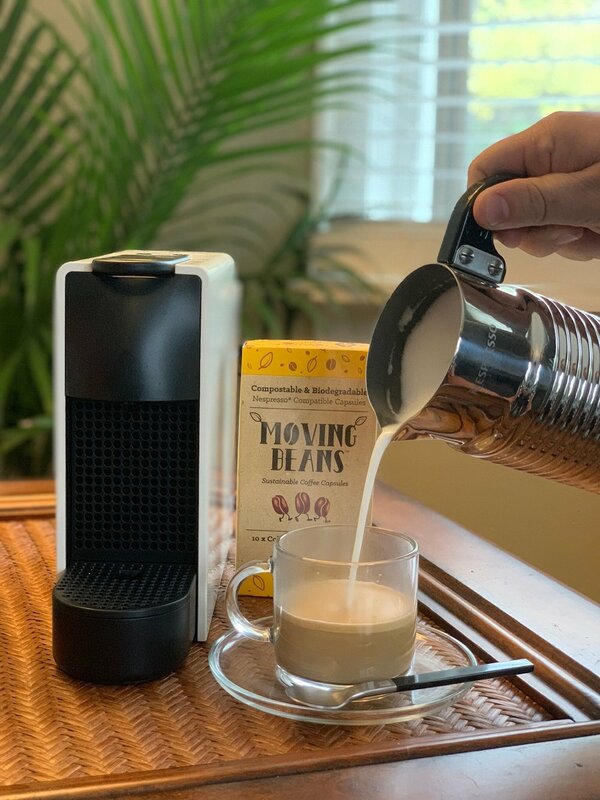 Moving Beans is the first company in the world that managed to solve the environmental problems with coffee capsules not filling up landfills. They are compostable and still maintain a very real and great flavor inside. They are making such an incredible environmental impact. And the next best part? 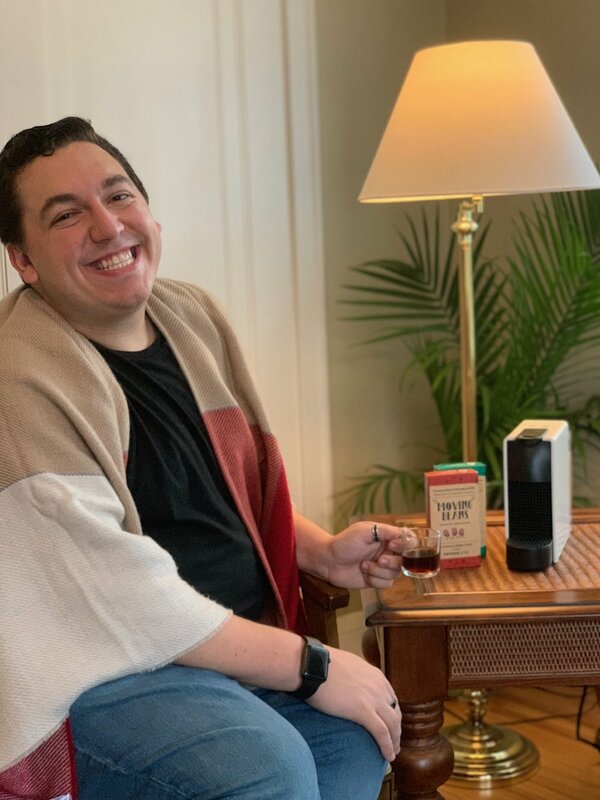 The creation came to be after a coffee lover met a group of science-lovers with years of experience in developing environmentally-friendly materials. Special shout out to my friends Michael Chambers and Nate Thompson who tried it with me. After trying the espresso and other two flavors, we got a little experimental (after making these delicious croissants) with the espresso. We made a variety of drinks including cappuccinos, macciatos and iced lattes. Guess what? They are just as delicious! So whether you like it straight up or mixed with some form of milk, these pods are great! 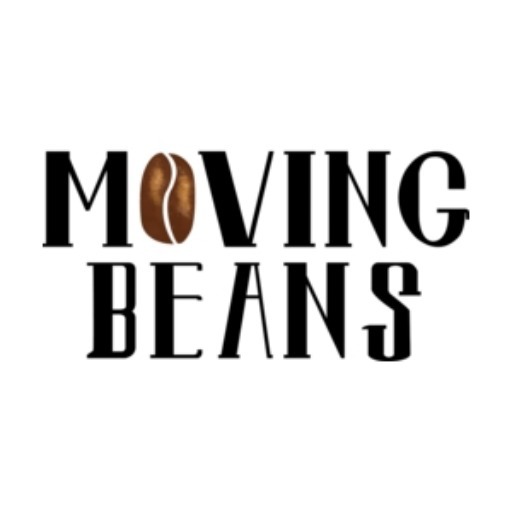 You can order Moving Beans and their various flavors online. When you order, don’t forget use my code BRETTBURGER for 10% off all orders. You can click the DealSpotr button below to go to their page and locate the most updated list of deals for Moving Beans. Don’t forget to use my code BRETTBURGER.